I am so sorry for not posting much lately, but I've been super busy for the last few days. I kind of felt guilty everyday for not finding time to sit down and write something new for those lovely people who keeps coming back to check my blog and for new readers, of course. I am trying to catch up on things as much as I can. Just before I start I wanted to say that I have not been asked or paid to write this feedback. If I am honest with you, I have been preparing for this review for a while now. I wanted to try this product in all possible ways to give the best review. If you following me, you will know how much love and credit i give to L'oreal. When I saw posters and adds everywhere about their new Infallible 24H Matte product line I knew I had to lay my hands on it. But when I visited my local Boots and Superdrug stores none has been left! I have been going to the stores for every few days to check if they restocked it and finally one lucky Saturday I had a chance to grab it myself before it got sold out again. 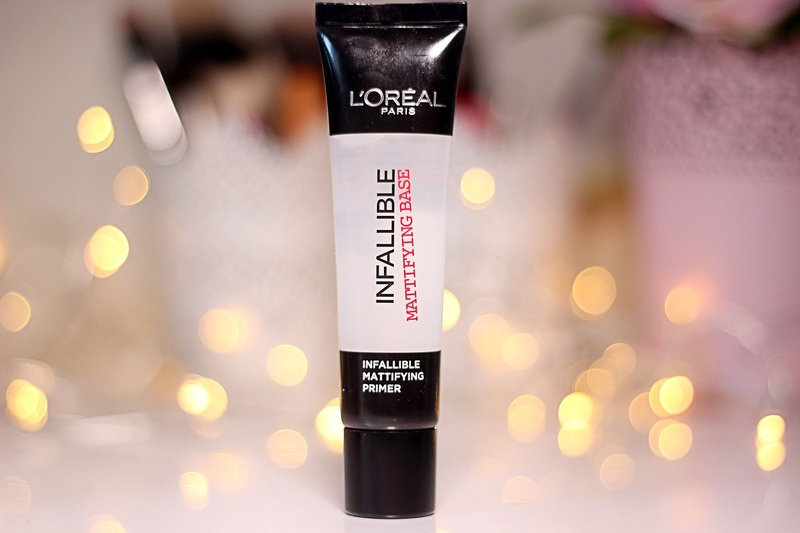 So I will start with L'Oreal Infallible Mattifying Primer. Instantly transforms skin texture, resulting in a matte finish and velvet soft touch. Prepares and smoothes skin by minimising imperfections, pores and shine. Mattifying effect, Instantly transforms skins texture for an even surface with velvet-soft touch. Foundation glides seamlessly across it. I have never used foundation primer before, I know its essential for your makeup to last longer, but I just never liked the result after applying the primer. So I was a bit skeptical about using this. But after the first application I just fell in love with it. The texture is so light that it's hard to tell if you applied anything on your face at all! It feels a bit greasy when gliding on your skin, but it makes the application super easy. Once it's completely dry it makes your skin look so velvety. It hasn't caused me any break outs yet, even though I have been using it for the past few weeks. I only used this primer with L'oreal Infallible 24H Matte foundation and it really mattifies the whole look. Next, let's move to foundation. 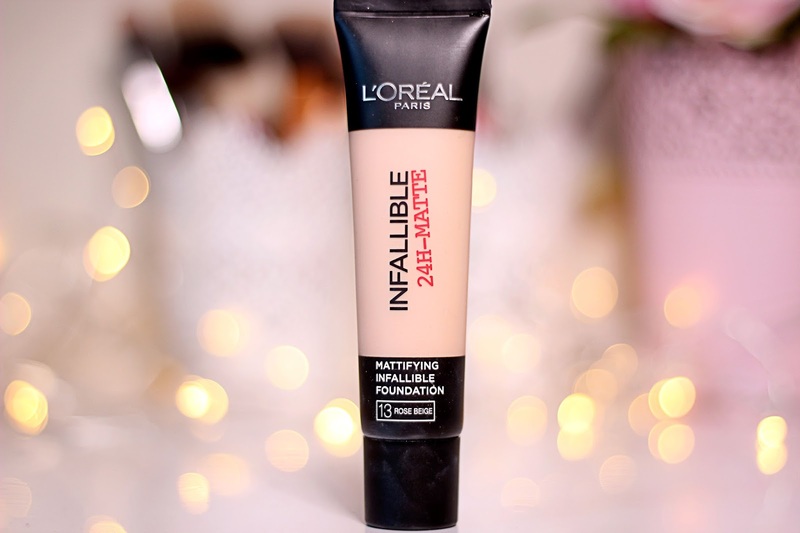 Ok, I am going to say this, L'Oreal Paris Infallible 24H Matte Foundation is the BEST foundation I have EVER had. I know just few posts ago I was raving about Loreal True Match foundation and I did say that it was the best foundation. Until i've tried this. It's so good, that I dont know how to put everything in right words. It does exactly what it says on the packaging. Foundation is SUPER matte and the velvet effect lasts you all day long. It's not gonna melt away, it will stay in places for as long as you need, I can guarantee you that! Even after my sweaty gym workout I had my foundation just as I would have it after application. 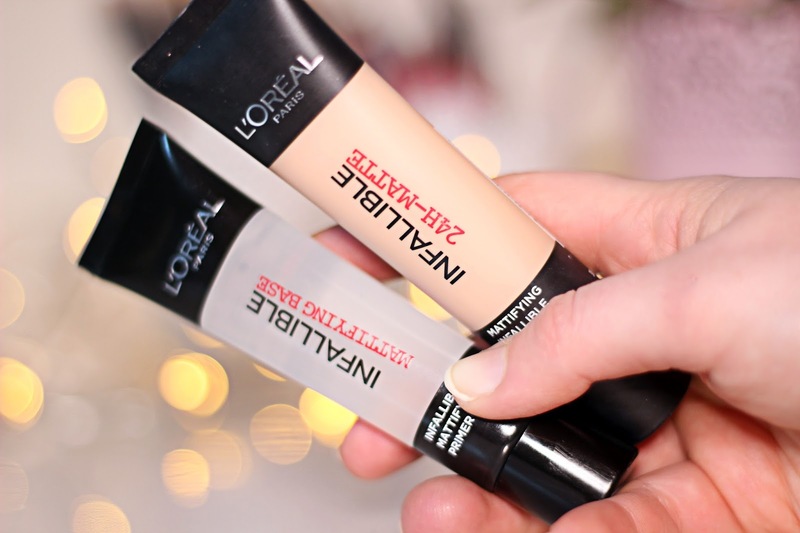 I am very impressed with L'oreal products getting better and better. On the packaging it says that it's high coverage but I cannot agree with that, I should say it's more of a medium coverage. But it's totally buildable, so it's not a problem. Texture is medium light and blends well. But thats where you need to be extra careful, with blending it could get a little bit tricky. 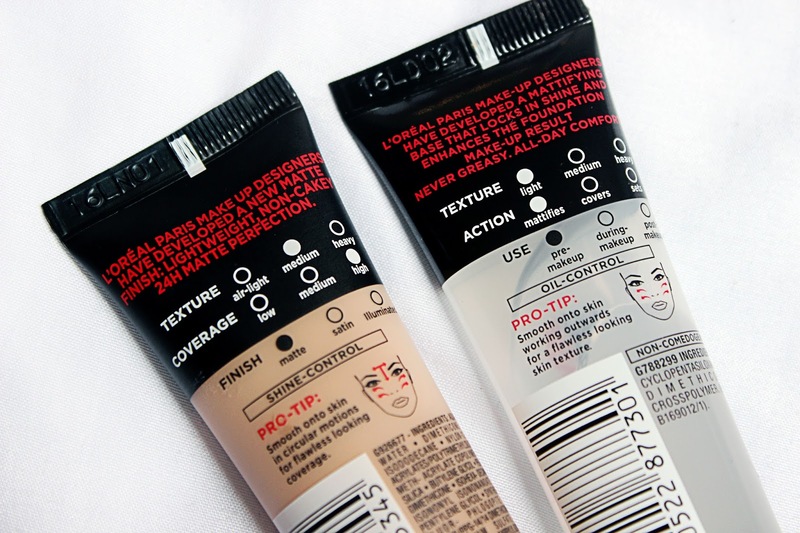 If applying with primer, foundation settles in the places where it shouldn't be. I don't know how to explain, but sometimes you need extra time to blend it until it's perfect. Also, it's difficult to choose the right shade, as they all look a bit yellow. I picked mine in 13 Rose Beige, it was closest to my skin tone. I can not be more happier that I have bought this foundation. I hope L'oreal will never stop making it, as I am going to repurchase it again and again! Price is super affordable, you can get it for £6.99 in Boots. I would highly recommend to try both of these products, as they are both absolutely brilliant! 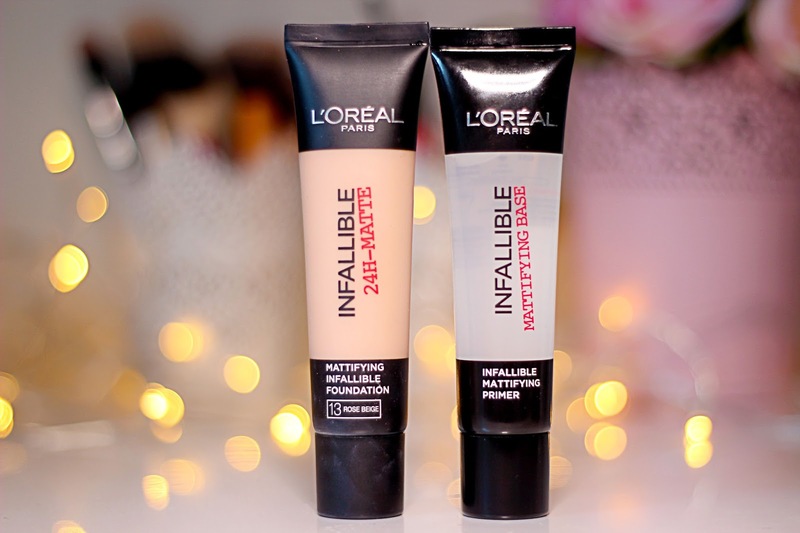 Have you tried L'oreal Infallible 24H Matte product line yet? That looks very good! I want to try it, I currently use NYX primers but it's not always the best ..